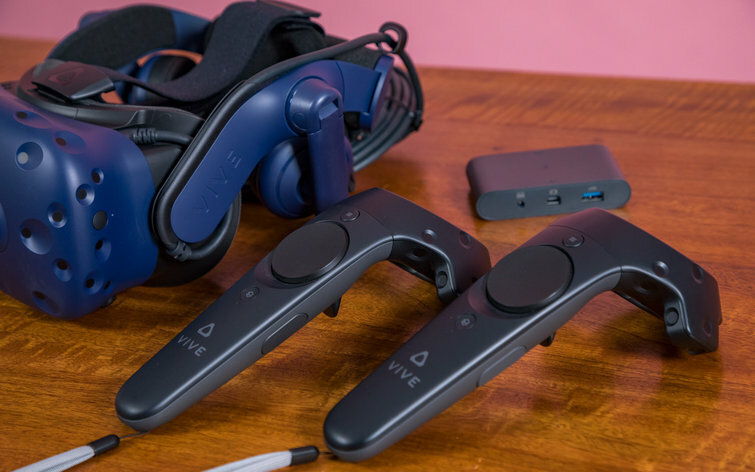 The first thing you’ll notice with the Vive Pro is that it’s a deep blue, compared to the original’s all-black design. While that’s helpful for distinguishing the two, aesthetically the blue shade doesn’t really add much. The headset looks much larger, but paradoxically, it’s also significantly lighter. Its plastic case and humdrum design doesn’t really distinguish it from other VR headsets, but current Vive users will notice the differences. Instead of a constant work in progress, this new headset feels like a completely finished product. Most importantly, there’s a new head strap system. It’s similar to the Deluxe Audio accessory HTC released a year after the Vive’s debut, which added headphones and replaced the original head straps. While this new system looks a bit complex at first and makes the headset much longer than before, it’s actually pretty straightforward. You simply place the eyepiece over your face, rest the back strap against your head and rotate the dial to straighten it. There’s an adjustable band at the top, but that’s something you only have to deal with the first time you put it on. 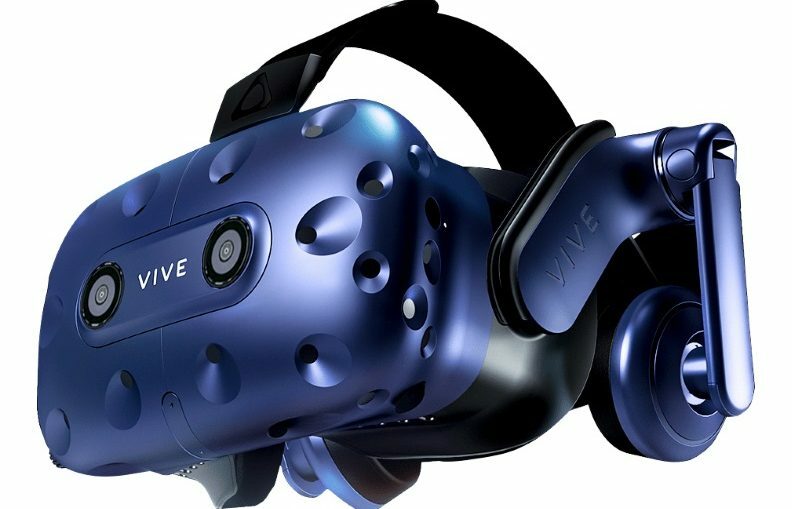 The Vive Pro doesn’t just have a new look, it has improved specs starting with the screen. The headset has a pair of 3.5-inch AMOLED screens with 1440 x 1600 per eye or 2880 x 1600 combined. The original Vive and Oculus Rift’s OLED displays have a resolution of 2160 x 1200 or 1080 x 1200 per eye. That’s a 78 percent resolution increase, which definitely makes a difference. Although the resolution is considerably higher, the refresh rate and the field of view remain the same at 90 Hertz and 110 degrees respectively. All those top-shelf specs require a high-end system to support them. HTC has recommends a system with Windows 8.1 or later, with either an Intel Core i5-4590 or AMD FX 8350 CPU or better, with 4GB of RAM and at least a Nvidia GeForce GTX 1060 or AMD Radeon RX480. Port-wise, you’ll need a DisplayPort 1.2 along with a USB 3.0 port or newer. The Oculus Rift is a lot more forgiving, needing at least an Intel Core i3-6100 or an AMD FX4350, 8GB of RAM, either an Nvidia GTX 960 or an AMD Radeon RX 470 GPU with HDMI 1.3 and a USB 2.0 ports. While everyone’s looking for the next big thing in augmented reality, HTC is still moving the needle for virtual reality with its Vive Pro headset. Equipped with high resolution AMOLED displays, integrated earphones with a built-in amplifier and spatial 3D audio, the Vive Pro elevates the VR market to a whole new level. But at $799, evolution doesn’t come cheap, and without base stations or controllers, the Vive Pro isn’t wholly complete.